Happy Birthday to the Kate Bush, born this day in 1958, as she turns 60 years old. Kate is a songwriter of terrific abilities, one who has, over the years since she first came to prominence as a teenager in the late 1970’s, produced work of outstanding beauty, depth and gorgeousness. Enigmatic as both a person and a performer, Kate, in releasing only 10 albums in the near 40 years since her first release, The Kick Inside, has ensured a high quality of work, each album being a superlative sensation of wonderful song writing and performance. From showing an amazing maturity, and some may say a disturbing maturity, from her earliest work, including songs written as a young adolescent, perhaps most strikingly the haunting Man With The Child In His Eyes, Kate has always been at the forefront of creative and progressive music. Always in charge of her destiny Bush’s career has always followed the path she wished it to; there have been occasions when she was pushed into doing things she wasn’t happy with, but only the once- those ‘mistakes’ were never to be made again. She has also been a trailblazer for female performers; from her first and only number one single, Wuthering Heights, being the first to be self-penned by a female artist to her stance on the exploitation of the female body as a selling tool for the music industry, Bush has lead the way for generations of female artistes who have followed in her wake. Her use of theatre, and in particular interpretative dance (as taught to her by David Bowie’s former teacher, Lindsay Kemp) Kate has created a template by which musical gigs became so much more than just a recital of songs, she was at the forefront of live music as an experience, something she re-confirmed when coming out of reclusiveness to perform her show Before The Dawn at the Hammersmith Apollo a couple of years back. 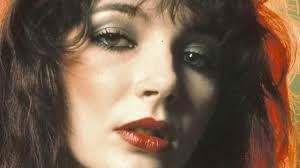 Kate Bush fully deserves her position as, for me, the greatest female British performer of all time and is firmly in the higher echelons of my favourite artistes of all time. 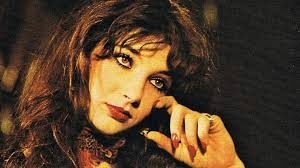 With music as timeless and beautiful as it always has been, Kate Bush truly is a great British treasure and I wish her the very happiest of birthdays today.